Dubai, United Arab Emirates, March 13, 2016 — Actress and film producer Taylor Re Lynn understands the pressures of celebrity to look great and always be camera ready. Like many actresses, she lives life in the public eye being on stage, in films, and during red carpet appearances. Recently, ahead of Milan Fashion Week, she wanted to shed a few pounds to look her most fabulous. 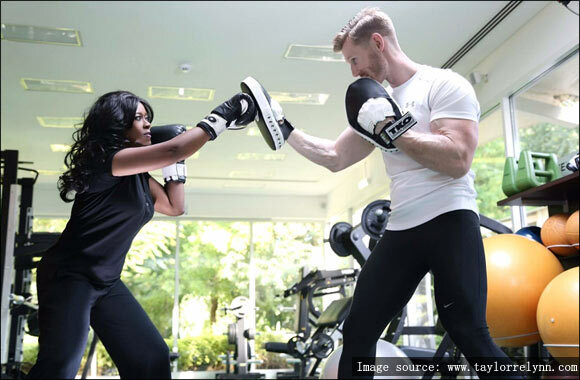 She turned to celebrity personal trainer Daniel Sten. Highly recommended in elite social circles, Daniel is known for a very effective, customized personal training program that maximizes fat burning and toning in the shortest amount of time. From their first meeting, Daniel emphasized the importance of calories in a diet and that your total caloric intake will determine whether you will lose or gain weight. “His personal training program enabled me to set a target caloric intake and be aware of the amount of calories eaten each day and how vital it was to losing fat and gaining lean muscle. These core principles in addition to stressing the importance of regularly performing a combination of cardiovascular exercise and strength training were key of my success”, said Lynn. Taylor lamented that she, like most women, has some trouble areas on her body where the most fat is stored, and that it is difficult to get rid of this fat without persistence. In most women these areas are the thighs, glutes, and in some women the triceps (back of the arms) and the abdomen. With the help of Daniel Sten Personal Training Taylor dropped one dress size, toned her arms, abdominals, and glutes for amazing results, which have been maintained. Taylor stated “I never imaged that I would be invited to be one of the faces of the brand. But, I am proud of the results achieved and thrilled to collaborate with Daniel Sten Personal Training.” For more details on Taylor Re Lynn, visit www.taylorrelynn.com. Daniel Sten is a licensed personal trainer with over 20 years of fitness experience and accomplishments including being a championship boxer in his native Sweden. His offices are located in Scandinavia and Dubai, United Arab Emirates. Additionally, he has online fitness options for international clients. As a celebrity personal trainer, Daniel has sculpted the physiques of many high-end clientele, including high-powered CEO’s, film and TV stars, executives, royals, and people from all walks of life. He specializes in nutrition, muscle gain, fat burning, and cultivating fast results to optimize total body transformation in the shortest among of time. Get more information on Daniel Sten Personal Training at http://danielsten.wix.com/danielsten, email questions to elitepersonaltrainer@gmail.com and follow Daniel Sten Personal Training on instagram (@daniel.sten).